"We are delighted with the new fleet from STILL Materials Handling. Keeping our employees safe is paramount, and the new safety features on the RX-20 are industry-leading. Our staff pride themselves on providing the highest level of customer service and by investing in the best equipment, we hope to further improve efficiency whilst the exciting growth of cruise at the Port of Southampton continues. We also continue to work closely with ABP to further reduce the amount of emissions generated by our port operations and we are proud to have an entire fleet of 100% electric fork lift trucks operating across all four cruise terminals. " It’s estimated that this year Solent Stevedores will provide in-port services for around 370 cruise ships handling around 2.7 million suitcases and loading more than 100,000 tonnes of ship’s stores, cementing the company’s position as one of the top cruise stevedoring suppliers globally. "We are constantly striving to improve our environmental impact through the use of recyclable materials in non-harmful manufacturing processes, energy-saving products and environmentally friendly work places. 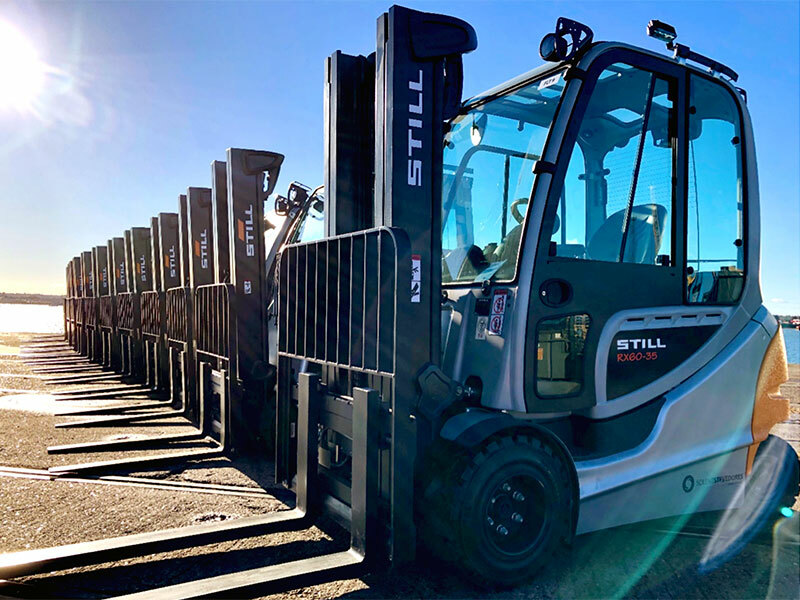 For many years we have worked in partnership with Solent Stevedores and are delighted to once again announce the latest delivery of thirty-three new RX 20 electric-counterbalance trucks. We are immensely proud to be able to support Solent Stevedores in their commitment to driving down their environmental footprint. The importance of this shared value is one of the primary reasons for our long-standing partnership and we look forward to working with them now and in the future."